FREDERICKSBURG, Va. — It was a mixture of delight, chaos, and sodium at the Johnson dinner table this Christmas as, according to reports, everybody in the family brought a dish featuring traditional Virginia Smithfield ham to the family potluck. 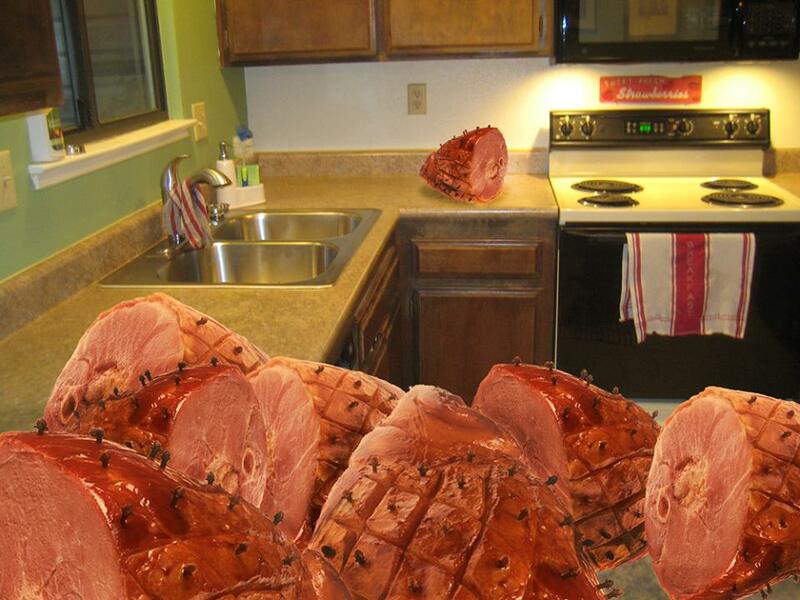 Another guest, Patricia Johnson, stated that she and her husband Jeff made a delicious honey-glazed ham with pineapple, but she was immediately eclipsed by her sister, Chelsea, who showed up to the party with the exact same dish. Show your support for totally real journalism – check out our online store.